Dispensation: On February 15, 1906 a dispensation was granted by the grand master, Most Worshipful Brother Abraham L. Miller, authorizing the formation of “Whatcom” lodge and the following officers were appointed to act under the dispensation: Bro. John W. Flesher(WM), Bro. Wm. Lawson(S.W. ), Henry M.Arnold(J.W. ), Bro. H.L. Merritt(Treas. ), Bro. C.E. Lawrence(Sec. ), Bro. J.R. Macartney(S.D. ), Bro. Richard Lamont(J.D. ), Bro. S.A.D. Glasscock(S.S.), Bro. T.M. Wickersham(Tyler.). First Stated Communication: Was held on February 21, 1906, and the by-laws adopted and a number of petitions received. First candidates elected and first degree conferred: First candidates were Samuel Altshuler, Isaac Jacobs and Edward L. Jacobson on March 21, 1906, and at the same meeting the Entered Apprentice degree was conferred on Samuel Altshuler, this being the first degree conferred in Whatcom lodge #151. First Installation: On Wednesday, August 8th, 1906 a special communication of the M.W. 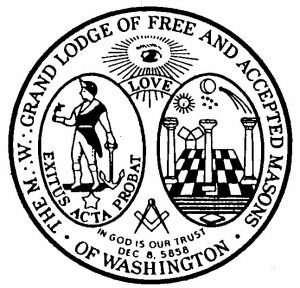 grand lodge of Washington was held at Bellingham for the purpose of constituting Whatcom lodge #151, F&AM. 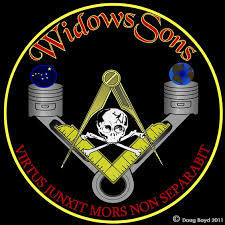 This was done publicly and grand master M.W. Bro. E.T. Wagner and the grand lecturer W. Bro. David Prescott installed the officers who were the same as those acting under the dispensation, with the addition of Bro. J.H. Roe as J.S and Bro.Glen C. Hyatt as marshal. 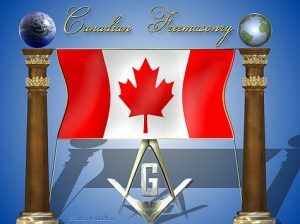 Fraternal visits: On October 4, 1923 lodge Southern Cross #44 of Vancouver, BC Canada, paid a fraternal visit. There were over 350 visitors and members present as they exemplified the work in the Australian manner. Since that time visits have been exchanged with Cascade lodge #12, Maple leaf Lodge #74, Prince David lodge and Unity lodge #106. Father and Son night: December, 1923 a father and son night was held and was so In successful that it was decided to make it an annual event, which was continued until present days. 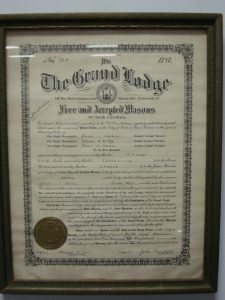 Whatcom lodge #151 Grand Masters: In 1934, W. Bro. Loomis Baldrey was elected Grand Master of the Most Worshipful Grand Lodge F&AM of Washington W. Bro. Charles P. Kittland was raised in Whatcom Lodge #151 and advanced to senior warden when he demitted to Wrangell, Alaska. He was elected in 1939 as the first Grand Master from Alaska. W. Bro. H.C. Heal was elected as Grand Master in Washington in 1949. First District #10 reception: On October 7, 1949, Whatcom lodge #151 was host lodge for the first District #10 reception for the Grand Master, or their personal representatives, and Grand lodge officers of the Grand Jurisdiction of Washington, Idaho, Oregon, Montana and British Columbia. This reception has become an annual occasion for District #10. 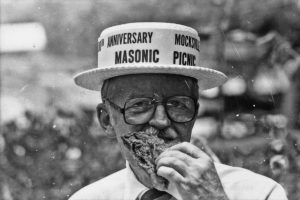 First Masonic Picnic: In 1950, Whatcom lodge #151 took the initiative in promoting an all Bellingham Masonic Picnic. This District 10 picnic is now held annually at Cornwall Park. Traveling Trowel: In 1955 a traveling Trowel was presented to Prince David Lodge #101 of British Columbia. To this day we exchange it yearly. Widows Night: In 1977 an annual dinner was held to honor our widows. W. Bro. Fred F. Shumate began this annual event at which an evening of entertainment is held at which pins are presented to our widows. Harold Terpening Scholarship Award: In 1996, following the passing of VWB Harold Terpening, the lodge was informed that the VWB had left a sum of money to the lodge. Under the direction of WM Glenn Hutchings, A motion was them presented and passed in lodge to match the Terpening money and establish a scholarship in his name. In 1997 Whatcom Lodge issued three scholarships from the Terpening fund; one $500 and two $250. 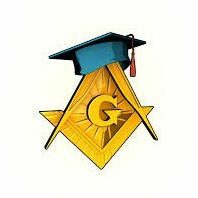 The recipient need to have some type of connections to a District #10 Masonic body or be a family member of a Whatcom lodge member. Applications are available upon request. In 2000, the lodge awarded a total of $2,750 to: Tara Crawford, Keith McBride & Kelsey Burley, Jayna Kline, Laurie Kline, Megan Richards, Tracy Coenen and Brianne Burley. In 2001, the lodge awarded a total of $2,150 to: Kelsey Burley, Keith Johnston, Laurie Kline, Laurilee McBride, Allida Newman, Kathryn Nutt and Megham spence. Ted King Masonic Inspirational Award: This award was created by WM Glenn Hutchings. WB King the presiding Secretary of Whatcom Lodge for over a decade and an elected lodge officer for two decades, has set a standard that the lodge chose to recognize with this award. In years to come, WB King will consult with the WM to determine who that annual recipient will be. A beautiful plaque centering around a large anchor is on display at the lodge. The conduct of WB King is a very clear standard that the members of Whatcom lodge are proud to be associated with.